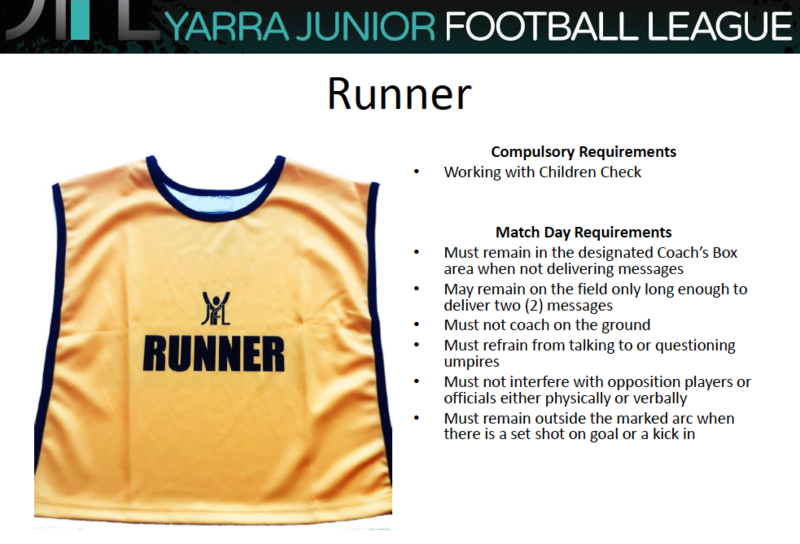 There is a wealth of information available within the resource centre provided both via the Ashy Redbacks, and also from our league associations & the AFL. Injuries are a part of playing a contact sport. 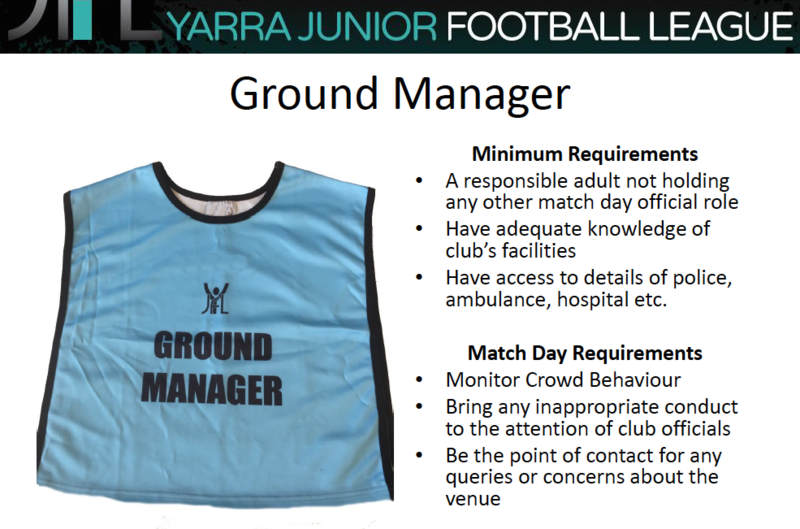 That said, we aim to minimise the likelihood of these and protect all players as best we can. Each team has a qualified first aid representative and the club provides additional medical support each game day. In the event of a player receiving an injury, there are some good reference guides below to help with a first response. The following roles are crucial for a successfully run game day. People who are operating in these roles should make themselves familiar with their responsibilities prior to turning up on the day. 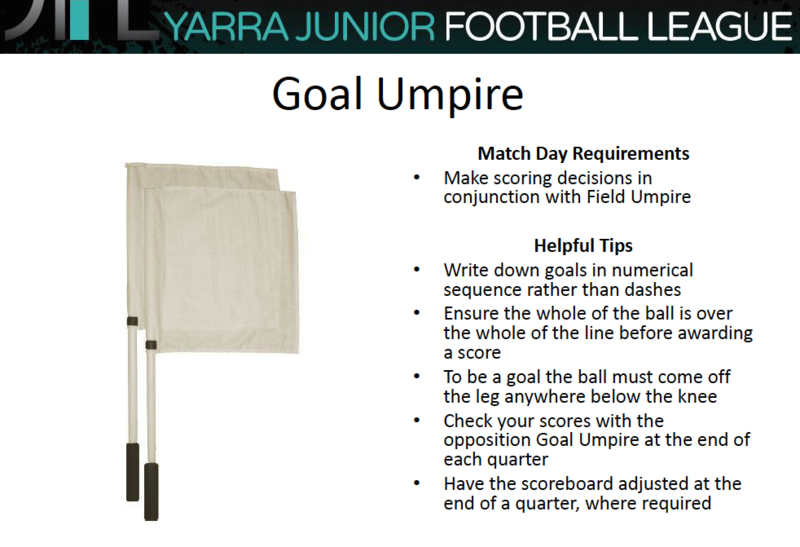 Boundary Umpire plus guide to "In & Out"
If you have a milestone game coming up, this is one way of making a banner. Before you begin, decide the wording you want for your banner, we recommend that you do not use long words like Congratulations as they don’t fit well on the banner. Purchase: 2 packets of green crepe paper, 2 packets of red crepe paper, one packet of white A4 paper (for the letters), glue to stick crepe together and letters to the crepe. 8. Once dry, attach banner to poles with strong tape (try timber poles) and check if the Committee has some available from past banners before buying them. As at 05/05/18, there are currently a lot in stock at the Club so please email Hugh on hugh@ashyredbacks.org.au to obtain some. NOTE: We recommend that you do not use heavy or thick tape to stick the crepe together as the players often cannot run through it - not the best image to capture on photo! Bernie and his children, Maddie and Jack, also supply stress free banner making services to help you prepare for your milestone game. Bernie responds super fast to all enquiries and you'll see a mock up of the design in your in-box to share with your child/children. Note: Banners are approx 4200 mm wide x 2200 mm high in size. All orders must be made by the Monday prior to game day.